This is an introductory article on small ruminant production. In future articles, specific issues relating to goat and sheep production in The Bahamas will be addressed. Between 1981 and 1983, 53 percent of the sheep and 94 of the goat population were raised in the developing countries. During this period, sheep and goat production in The Bahamas was significantly lower than in previous periods. Sheep and goats are classified as medium sized herbivores, medium sized ruminants or small ruminants. “Sheep and goats are the principal domesticated small ruminants in terms of total numbers and production of food and fiber products. Sheep and goats are “opportunist generalists” in their foraging behavior. They are adaptable in their feeding habits. Both sheep and goats can select their diets from a wide range of feeds extending from high quality grasses to bitter bushes. Sheep tend to take broad-leaved herbs more readily than goats, while the goats seem to prefer shrubs and tree leaves The wide range of diet composition of sheep and goats could be related to animal breed, plant growth stage and available vegetation. They can adapt their diet depending on prevailing conditions. Small ruminants tend to be selective when offered cut-and-carry forages. For example, local feed stuffs consumed by dual-purpose goats during early to late lactation did not reflect what was offered in quality or quantity. Goats consumed only small quantities of some feeds (e.g. pigeon pea and Sudan grass) although the digestible energy of what was consumed was high. This resulted in difficulties such as abortion, loss of body weight…etc. It is important to correct this by mixing rejected, high protein feeds with local grasses (high energy) or by supplementing tethered sheep and goats with hand harvested. It is common in the Bahamas for owners of animals to “break boughs” along roadsides for feed, Also, it is necessary to note that small ruminants are less efficient in fiber digestion than cattle. By their very selective behavior, small ruminants - particularly goats - consume the young and fresh portions of forages, whereas the large rumen size and the longer retention time of feed insures higher digestion of low quality high fiber feeds by cattle. The majority of sheep and goats are raised in the developing countries. Permanent meadows and pastures (rangeland) provide the majority of animal feed. Mixed farming is the common system of production and two thirds of goats and 52% of sheep are produced in small farms. In these areas, small ruminants are confined over-night (to avoid predators and theft) and herded or tethered during the day. Cut-and-carry of local forage resources and crop residues also contribute significantly to animal feed. Cut and carry feeds in the Bahamas include jumbey, gum elemi, pigeon peas and sinnicord. These are often supplemented with imported corn or processed feed and hay, comprising alfalfa and other grasses. The food resource base for sheep and goats-in the developing countries is diverse and greatly reflects the environment where these animals are raised. In developed countries large pastures and cultivated hay are used for feed. Harvested forage and crop-residues, like corn stalks and pigeon peas branches, supply almost all of the energy consumed by sheep and goats. 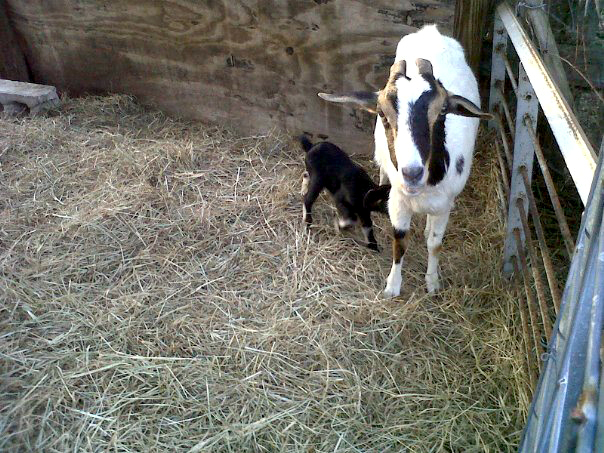 Usually small ruminants - particularly goats - are raised as extra investment without a major labor input. Small ruminants in these environments are usually herded or tethered in abandoned or unimproved lands between farms. Roadside and fence vegetation provide also a sizeable portion of energy consumed. About the Author: Charles A. Carey is the CEO of Abaco Orchards, which he founded in Abaco in January, 1986. Abaco Orchards is engaged in the production and sale of native fruits, mangoes, avocadoes, ornamental plants, small ruminants and seedlings. Farming is in his blood. His ancestors in Pennsylvania were farmers and farming was also the mainstay of the Allen Clan of Tarpum Bay for centuries. They cultivated pineapples and tomatoes on over five hundred acres of land on Eleuthera and Cat Island. Charles’s father, Leo Carey, a farmer at heart, always had agricultural pursuits, producing tomatoes, raising chickens, pigs, goats, cows and sheep on his two-acre family estate in New Providence. Charles was involved in the establishment of the first sod-producing farm in the Bahamas. He can be contacted at charlz195@gmail.com.